Modeled after the classic Mustang fastback, the 2018 design possesses the same quintessential lines and timeless curves. Even with 12 available wheel designs, this year's iteration remains unmistakably Mustang. For an even more dynamic driving experience, Ford offers four different engines with the 2018 Mustang at South Bay Ford. Each one delivers at least 300 HP just to remind you that the Mustang's muscle is paramount to any other in its class. Choose from the 3.7L V6, 2.3L EcoBoost, 5.0L V8, or the 5.2L V8 (standard on Shelby GT350 models). Skip the straight and narrow and master the highways with precision in the Mustang's aluminum-alloy rear knuckles and H-arms, resulting in reduced unsprung mass and a more calculated maneuvers. Optional SYNC 3 lets you enjoy all of the SYNC features you know and love, plus Ford's next generation of voice-activated technology. With an easy-to-read touchscreen at your fingertips, you won't believe how quick SYNC reacts to your commands. Simply talk with real-world, conversational voice commands and you're off to your favorite restaurant in no time. With its sleek, sporty, aerodynamic look, Mustang has an iconic style all its own. Every 2018 Ford Mustang from South Bay Ford has standard HID headlamps and signature LED tri-bar tail lamps with sequential turn signals. Also standard are dual exhaust pipes on all models and air extractor hood vents on GT models. 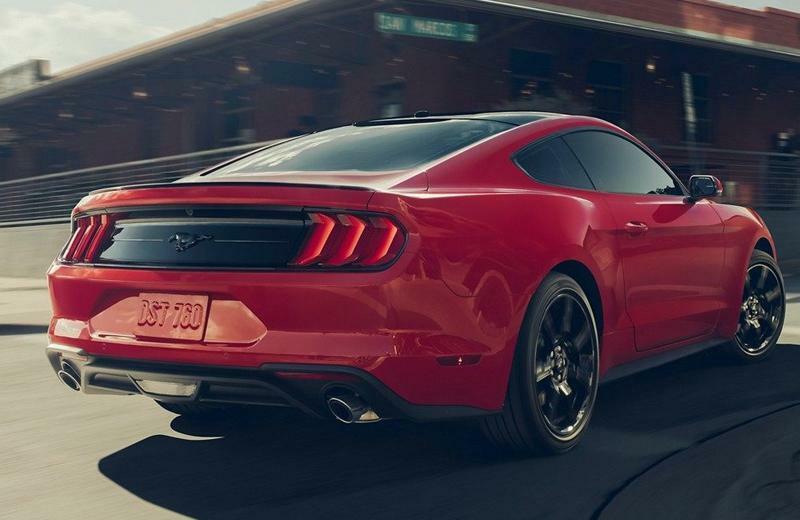 The 2018 Ford Mustang features an integral-link independent rear suspension to help minimize body roll and isolate road imperfections for a responsive ride and precise handling. 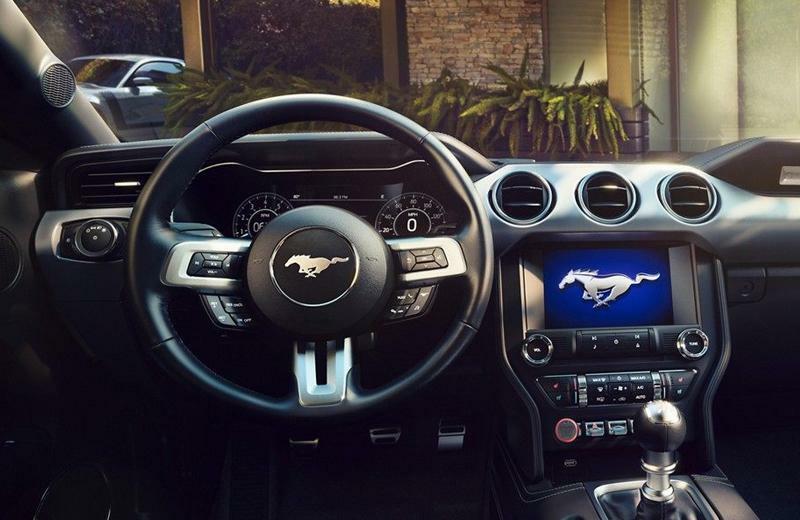 Let loose in your new Mustang and drive comfortably with better pitch control during hard acceleration. Enjoy the best lease deals in Los Angeles on a 2018 Ford Mustang lease and drive off with confidence when you work with the finance experts at South Bay Ford. Whether you're in Santa Monica, Torrance, Manhattan Beach, Gardena, Hawthorne, Redondo Beach or Los Angeles, your new Ford Mustang from South Bay Ford is ready to take you home. 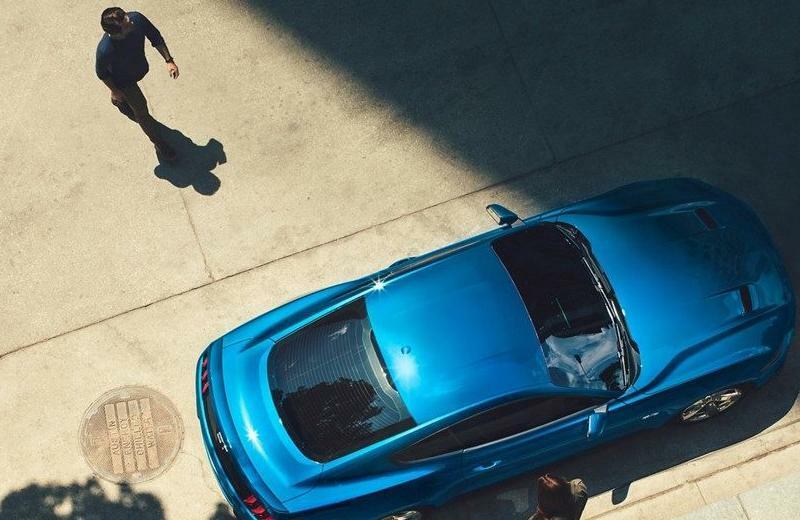 Take advantage of the best car lease deals in Los Angeles on a 2018 Ford Mustang and drive off with confidence when you work with the finance experts at South Bay Ford. Whether you're in Santa Monica, Torrance, Manhattan Beach, Gardena, Hawthorne, Redondo Beach or Los Angeles, your new Ford Fusion from South Bay Ford is ready to take you home.